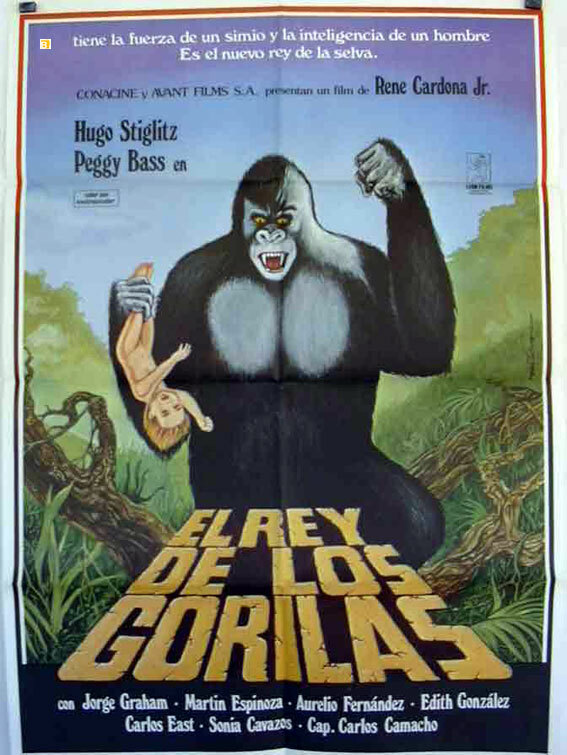 El rey de los gorilas. 1977. A spin-off of Tarzan in this Mexican jungle film. An African safari is attacked by savage natives and the sole survivor is an infant who is adopted and raised by gorillas. As he is growing up, his only human friend is a native boy he happens to meet in a chance encounter. He grows to be a young adult, discovers white civilization, and meets a beautiful white girl who becomes his mate. They have a son who becomes the second jungle boy in the movie, and the three of them prevail through perilous adventures. Cast: Martin Espinosa (Little White Ape), Aurelio Sparrow (Notoku), Jorge Graham (White Ape's son), Hugo Stiglitz. 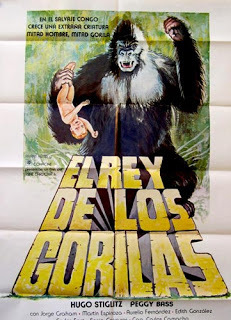 Download El rey de los gorilas.